Marinella is a district of Sarzana, in the province of La Spezia, on the Apuan Riviera. 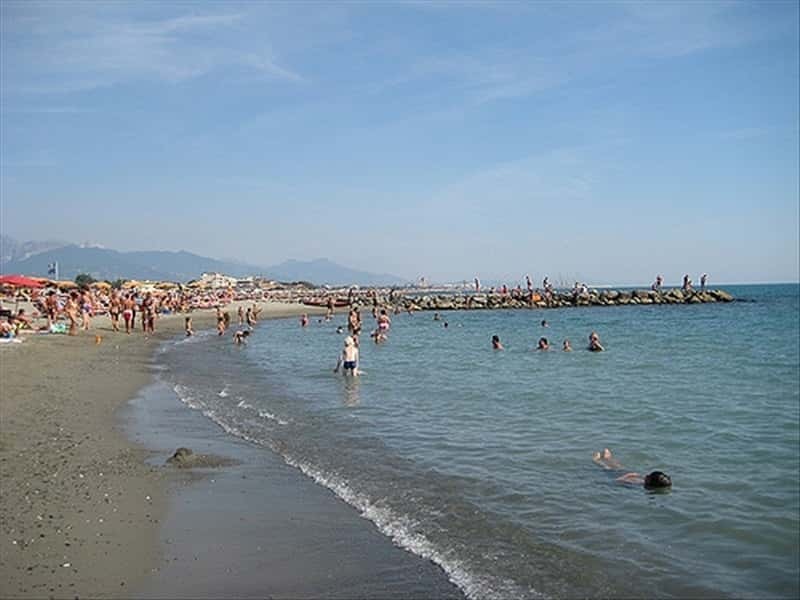 Adjacent to Marina di Carrara, the resort features one of the most popular tourist centers in the Lunigiana area with its beautiful sandy beaches, very different from the rocky ones found elsewhere in Liguria, which give way to various water sports. It represents the ideal place for those who want to enjoy a relaxing holiday, away from the clamor of Liguria's most famous resorts, often much more crowded. The inhabitants of Ortonovo and Nicola made use of the ancient port of Marinella, characterized by the presence of marshlands, fishing possibilities, grazing grounds for their flocks and firewood. This continuous taking advantage of the lands originated a contrast with the city of Sarzana, that advanced the rights on the land as heirs of ancient Luni. The territory, which belonged to Sarzana up until the XVII century, was ceded in exchange of money to the Fieschi, which, sold it in 1752 to Marinella Serra. In 1865 the land was sold again, this time to Fabbricotti. From this date onwards a new district called Village Fabbricotti was incorporated into the first plant construction, next to the court square, previously built by the Serra and the Fieschi families. The old village is now hidden behind a series of new buildings, constructed on the coastal zone due to housing development plan of 1957. The Church of Sant'Eutichiano Papa, dedicated in principle to the Holy Cross. It was built around 1881 by Charles Fabbricotti at the request of tenants of the estate of Marinella. Located in the old country, is immersed in the green between the sea and the mountains. The nearby archaeological site of Luni. The fort of Sarzanello located in Sarzana and dating back to '300. The Parish of St. Andrew in Sarzana built between the X and XI century, it preserves sculptures in marble dating from the XIV and XV century and the Calling of Saints John and James of the artist Fiasella. The Cathedral of Santa Maria Assunta in Sarzana of medieval origin, but built in Romanesque-Gothic style. It houses valuable paintings and sculptures, as well as the oldest Italian painted Cross, dating back to 1138, artwork of Master William. The Church of San Francesco in Sarzana, which preserves inside a lunette shaped fresco attributed to Priamo Della Quercia, "the Adoration of the shepherds of Fiasella", an XVIII century altar, a painting by Antonio da Carpena and another one of Thomas Clerici dating back to 1656. The Church of Nostra Signora del Carmine in Sarzana, which preserves an art work of painter Francesco Maffei from Vicenza dating from the XVII century. This town web page has been visited 14,783 times.